Find hotel near Pichavaram Mangrove Fores ..
You would be mesmerised to witness the enigmatic beauty of the Pichavaram Mangrove Forest. The whole forest covers an area of 1100 hectares. The mangrove territory gets detached from the ocean by a strong sandbar. To endangered fin-fishes and shells, this thriving zone is a safe dwelling. The diverse flora and fauna are the attractive elements of this forest. You can easily spot many local and migratory birds here. Some of them are herons, egrets, spoonbills, snipes, cormorants, pelicans, and storks. Apart from summer, you will find all the seasons comfortable here. 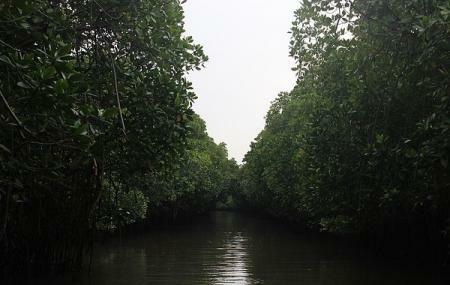 You can avail affordable boat rides to enjoy the tranquil state of this forest area with your friends and family. Don’t forget to keep your camera handy. Create a flawless plan, make use of Chidambaram trip planner. Hotels like Pichavaram Adventure Resort, Arudhra Residency and Zo Rooms Natraja Temple will solve your problem of where to stay in Chidambaram. There are plenty of ready-to-book Chidambaram vacation packages available that will cover the major attractions, accommodation concerns including the prime one like how to reach Chidambaram. Superb place, nice and fresh air. Boating experience was good when the person who was on the boat with the paddle explained to us about the place. He stopped near various spots to take photos and allowed us to get down the boat near shallow area. Need to take the motorboat ride next time. The boat ride is a wonderful experience. Boatmen ask for extra money to take you into interesting areas, which you obviously agree to because you don't want to miss out on that having come all the way to the place. So try to negotiate on the amount they demand. Beautiful place to go.. the vegetation is not something u could see easily elsewhere.. highly recommend this natural beauty. We took a motor boat (shades on top available to avoid the sun) during the month of March - so no queue. Wow place. Fresh air and a different experience. Boat rides are reasonable and boat riders take us inside at extra cost. Water is so muddy but mongrove first is a next level. Tamil Nadu tourism should improve rest room, proper water jacket and hotel up there. Motor boat is worth taking... Rowing boat is not that much good. Best time to visit after June since May is very hot up there.